Dry your clothes quickly and efficiently with the freestanding T7DEE832R. The 8 kg drum capacity makes this dryer perfect for families, and the heat pump technology will save you money with every cycle. 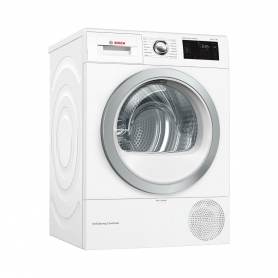 This AEG tumble dryer is exclusive to Euronics and Agent stores, so you won’t find it anywhere else. For a limited time only, claim £50 cashback when you purchase this appliance*. 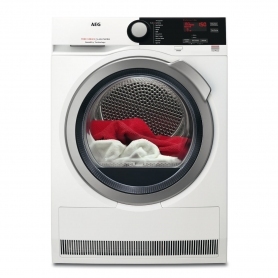 Dry your clothes in next to no time with the AEG T7DEE832R. Add one to your basket today.